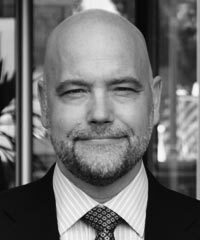 Michael Meehan is Chief Executive of the Global Reporting Initiative (GRI), the global standard-setter in sustainability reporting. GRI has a global presence through the work of its Secretariat in Amsterdam and Focal Point offices in the United States, Brazil, South Africa, China, Colombia, India, and Australia. As a CEO, senior executive, and advisor in the sustainability sector for almost two decades, Meehan has built and managed several successful clean-tech businesses, including Carbonetworks (2004–2010) and iVeridis Corporation (2010–2013), both of which were focused on the intersection of innovation and sustainability. Meehan has also advised multinationals and governments around the world, including the White House, United Nations Framework Convention on Climate Change (UNFCC), and the California State Senate, regarding sustainability issues. He is the inventor of several patented clean technologies.